1) Implement change in blocks. The problem: We all know that changes happen on a day-to-day basis, whether students are moving, routes are changing, walk zones are being established, and so on. But when changes are made and implemented on a daily basis, it doesn’t allow for good change management. You lose track of what has been changed, and the communication of that change often falls through the cracks due to there being so much to keep up with. What you can do: Think about implementing changes on a bi-weekly basis, getting an email list together of stakeholders, and sending out updates as they go in effect. 2) Encourage drivers to report back regularly. The problem: When we see routes being run differently by the driver than what is in our system, we ask the dispatcher to look into what the driver is doing. For example, the driver might say, “It’s easier to do the route this way because I don’t have to wait at the long light to make a left.” Even if that driver is right, they should still drive their route as it has been established in the routing system and/or according to the route sheet. What you can do: If the driver is correct and if implementing their recommended change can make the route safer or more efficient for everyone involved, the change should first be made in the office. Once in the routing system and/or the routing sheet, dispatch can let the driver know that it is ok to go back to running the route the preferred way. That way, there are expectations about following directions, while also creating better communication with your drivers and empowering your staff to help the operation. 3) Keep posted/public information up to date. The problem: We see this a lot. 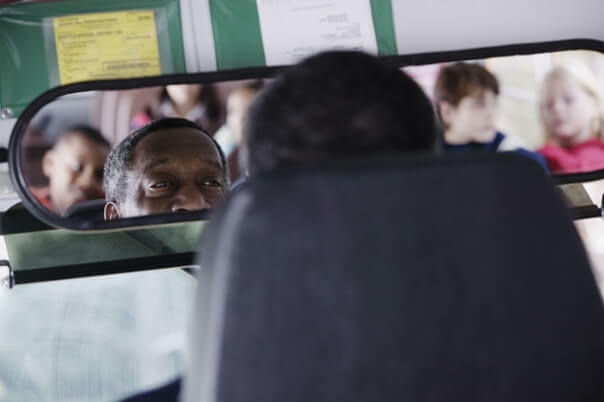 At SafeStop, we receive routes and bus stop times from the Transportation Director, but it doesn’t always match up with the routes posted on the school or district website. Most confusion comes from a lack of communication and the accuracy of posted information. What you can do: Using a system like SafeStop’s Alerts & Messaging Center to notify users that bus stop times are changing is helpful and can greatly reduce public confusion, or concern. 4) Facilitate easy communication and feedback. The problem: When we meet transportation professionals, their first complaint is often that the phones ring off the hook when the school buses are late, or the transportation operation is dealing with inclement weather. What you can do: Set up a system with procedures for parents so you can separate feedback and complaints from emergencies and real-time questions. For instance, establish an email address so parents can send in their feedback or complaints. Letting them know that you will respond within a certain time frame can go a long way to easing parent concerns and preventing them from congesting the phone lines. 5) Create and enforce expectations. The problem: There will always be a parent that tries to register for transportation service too late, or an administrator who wants to change the bus stop times so that the bus arrives earlier at their school. What you can do: While it may frustrate some individuals in the beginning, creating standards and enforcing deadlines will ultimately greatly improve results for everyone involved. For example, if you allow parents to register for transportation service beyond the deadline, the routes won’t be complete and posted on time, creating havoc during the first several weeks of school when people don’t know when or where to go to catch their school bus.